Hi Friends! I’m so happy to have the first every Hungry Hobby guest post by a very special RD, Rebecca Clyde. As you guys know I’m at the Food and Nutrition Conference in Atlatna, Georgia this week so I’m so happy to have her post here at Hungry Hobby on my behalf . Rebecca is currently a Registered Dietitian pursuing her Masters in Science of Exercise and Sports Wellness, a field I am extremely passionate about. Check out her blog she co-authors with Melanie, another fabulous dietitian at Be Truly Nourished. So without further ado take it away Rebecca! Hi Hungry Hobby readers! I feel so honored to share a few tips with you, and have to thank Kelli for asking me to guest post! 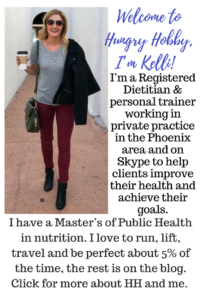 I hope this post can add a different angle, but still fit in with Kelli’s great health, fitness, and cooking tips, and not to forget those tantalizingly healthy and FILLING recipes! Just as Kelli believes, I am a firm believer in a NO one-type-fits-all health approach. Since everyone has a different lifestyle and food preferences, no one health approach or tip will work for everyone, and that’s ok! With that being said, I’d love to share a few general tips with you, to incorporate simple healthy habits into your lifestyle. It’s not about changing or overhauling it, it’s about enhancing it. I’d first like to step back and explain my approach and how I came to this realization. I recently started my graduate program in exercise and sport science with a focus in wellness. Obviously, since my classes are built around health and improving wellness, I truly believe that leading a well life is crucial to our health and even happiness. That’s why I focus on eating well, being well, and being active. But, I also know that behavior change is difficult since our habits are often deep seeded. Not to mention that it’s even more difficult to change if you’ve tried it before and failed. With that said, I’m excited to share some of my healthy habits to add to your daily routine that should help you feel healthier and happier! A majority of jobs these days are very sedentary, some researchers compare sitting to smoking. Although it’s hard to quantify what a sedentary lifestyle is, research does show that those who expend few daily calories: by sitting a lot, are more likely to die early from chronic disease. Now I’m not saying that you need to ride your bike to work, or jog on your lunch breaks, although those are great, they can be daunting for some. 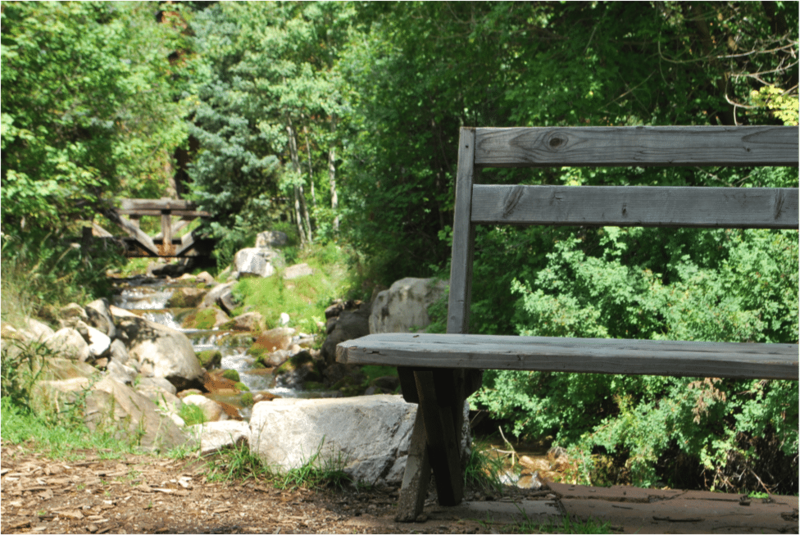 You can instead individually search for ways to sit less at work &/or at home. You can find ways to elevate your work station to create a standing desk (I’ve even found that I’m more productive while standing vs sitting), bring a smaller water bottle that you’ll have to get up more often to go fill up. Do a flight of stairs to warm up instead of throwing on a sweater. The list really can go on and on. Buy prepackaged and precut veggies, or prepare vegetables to use throughout the week. Bring nuts and fruit to work. Keep easily accessible, healthy foods around can help keep you in a good mood, keep you productive, and give you energy. They can also be a better choice than the work candy bowl, which may taste good, but not provide you with long lasting energy or brain food. I believe that being well is a component of wellness, and therefore health. It really is important! Whether its about accepting yourself and loving your body, or recognizing all the great things you’ve got going on in your life, you can find ways to be happy even in frustrating and rough times. Write down what you’ve got to be grateful for, do it often, and look over it often! This seems like a no-brainer, or that you can’t always do this. Both of which are true. You may have family relationships that aren’t always or ever peachy or have difficult coworkers, those are hard to change. But, you can choose to have a few friends or a trusted family member who is always there for you. Having someone to confide in, vent to, and just knowing that –whomever they are- always has your interests in mind is reassuring and makes the world a little better place. Rebecca Clyde is a Registered Dietitian Nutritionist, graduate student in exercise and wellness at the University of Utah, clinical dietitian based out of Salt Lake City, UT, and one of the dietitian bloggers on http://www.betrulynourished.com/ where she shares tips and guidelines on how to eat well, be well, and be active. She works with the membership chair of the Utah Academy of Nutrition and Dietetics. Also connect with her on twitter and Facebook. and number six? ALWAYS BE GENTLE AND KIND TO YOU. CARLA recently posted…Wanna be my BFF? 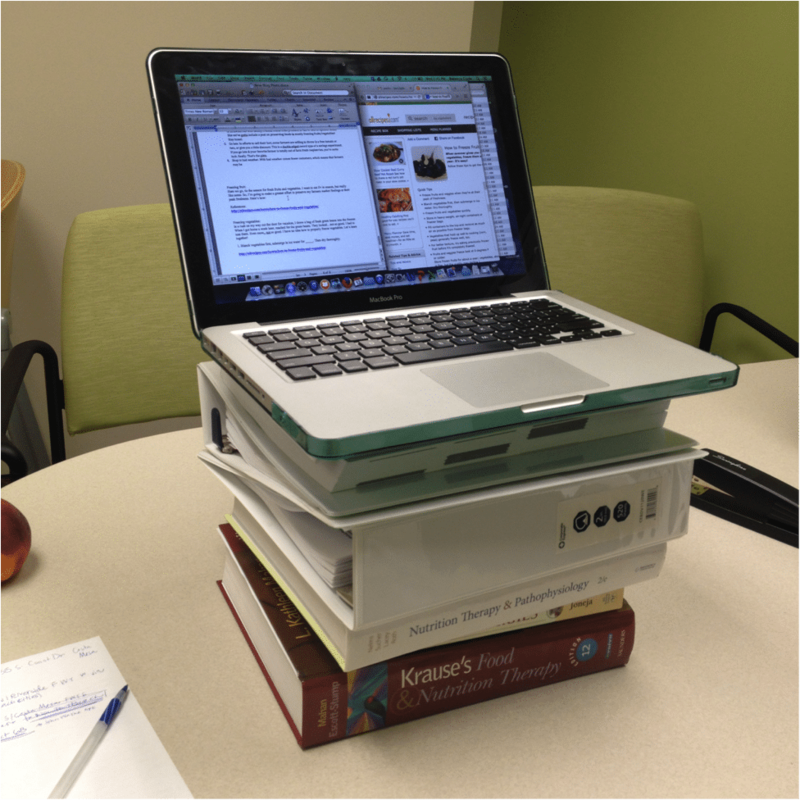 Great tips… I wish I could have a standing desk. When I’m at home, I’ll typically put the computer on the counter to work! I try to incorporate these tips into my day as much as possible! It’s amazing what some exercise or a breath of fresh air can do. Thanks for the tips! Healthy snacks are a big one! If I only have junk around I’m way more likely to eat that and then regret it!